Not long after starting doing these reviews of Movie Churches, I posted why I thought it was worthwhile to do so. I said that there are many people who don’t go to church, and their ideas of what church is come from how churches are portrayed in the media. Therefore, it is worthwhile to point out when the churches in film (and this blog is about film; someday I may get to TV or novels, but not yet) get churches wrong. 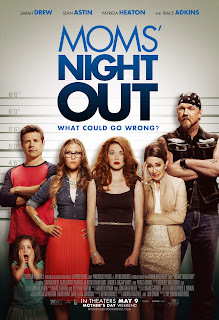 Back then, someone commented about a Movie Church that was annoying: the one in Moms' Night Out. Watching the film, I had to agree with the commenter. What makes the church in the movie a little more sad is that this film is obviously made by Christians, but they couldn’t get their portrayal of the church right. 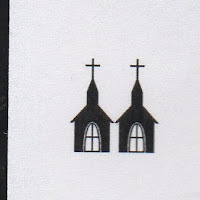 So after giving the basics of the film, we’ll look at the church in it and try to guess why the filmmakers got it wrong. The basic plot could be taken from numerous family sitcoms, but then given a Christian spin. Allyson (Sarah Drew) feels trapped by parenting her kids and wants a night out on the town with her girlfriends. Her husband, Sean, played by Sean Astin (one assumes they used his real name so people would know he wasn’t Sam Gamgee this time out), agrees to “babysit” the kids -- and we sitcom watchers know that will surely lead to zany shenanigans, men watching children and all, and chaos will ensue, and it does. One of the things my wife Mindy appreciated about the film was its depiction of the desperation of a mother at home with babies, toddlers, and other little ones that bring weariness and feelings of entrapment. An at-home mother does have very real needs for rest, encouragement and affirmation. One would hope the church would look for ways to meet those needs. The church in the film does nothing of the kind. Upon arriving at church, Allyson looks at the other mothers and compares their appearance to hers. These kinds of comparisons seem common in the church in the film. No one seems to want to be honest about who they are or their struggles. Even the pastor’s wife (played by The Middle’s Patricia Heaton) feels compelled to lie about her past. She was a bit of a wild child who went to rock festivals and got a tattoo in her youth, but she denies it all until she has no choice about being honest. Allyson’s husband is out of town, so she takes her children to the church nursery partly because she hopes that she'll enjoy a bit of peace during the service. (This nursery is run by one of Allyson’s friends with the help of her husband. Her husband doesn’t really like kids, a quality not high on my list when recruiting nursery workers.) Not long into the service, Allyson is called out of the service because her youngest got his head stuck in a toilet. One wonders how well the workers were watching the kids to allow this to happen. We do hear a bit of the sermon. It seems to be a Mother’s Day sermon based on the text of Psalm 127 which says that, “Children are a blessing from the Lord, a reward from Him.” The pastor quickly says that this shows what an honored place mothers have. But it seems to me this passage is about parents (or probably, at the time, more likely about fathers) and not just mothers. But the film seems to have the take that kids are a woman thing. Allyson attends a women's group that seems to be church related (since the pastor’s wife and other women from the church are there. Maybe it’s a book club, since a woman from the church keeps yammering on about a book called The Favor which seems to be The Secret in disguise. Prayer is apparently presented in the book as a magic thing that gets one the premium parking spaces and every material thing one’s (greedy) heart desires. Why the pastor’s wife listens silently to this drivel is a mystery. So why do Christians present such a poor example of the church in their film? I think it was their desire to exaggerate the failing of the church for the sake of comedy and satire. This is not an unworthy goal. But sadly, the film really isn’t that funny. And the satire is so mushy that viewers aren’t quite sure if the filmmakers know what’s wrong with the church. The really sad thing is to think how many mothers really needed a night out… and spent it watching this. I guess the craftsmanship of the film might make some parents appreciate the artistic merit of their kid’s scribbles on the wall. 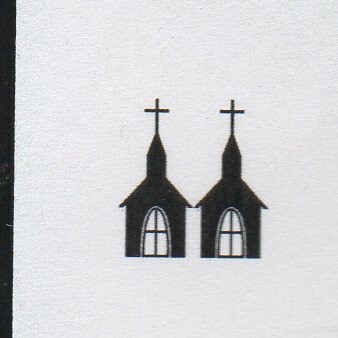 The church in the film gets 2 steeples.